Nnedi Okorafor is a novelist of African-based science fiction, fantasy, and magical realism for both children and adults. 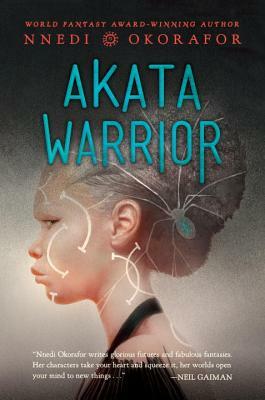 Born in the United States to Nigerian immigrant parents, Nnedi is known for weaving African culture into creative evocative settings and memorable characters. In a profile of Nnedi’s work, the New York Times called Nnedi’s imagination “stunning.” Nnedi has received the World Fantasy Award, the Hugo Award, and the Nebula Award, among others, for her novels. Her fans include Rick Riordan, John Green, Laurie Halse Anderson, and Ursula K. Le Guin among others. Nnedi Okorafor holds a PhD in English and is a professor at SUNY Buffalo. She divides her time between Buffalo and the suburbs of Chicago, where she lives with her daughter. Learn more at nnedi.com or follow her on Twitter @nnedi.